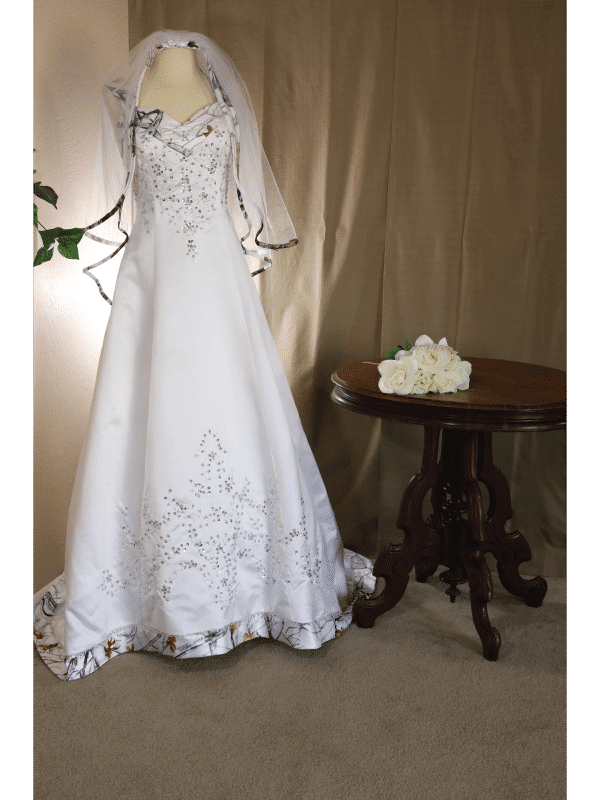 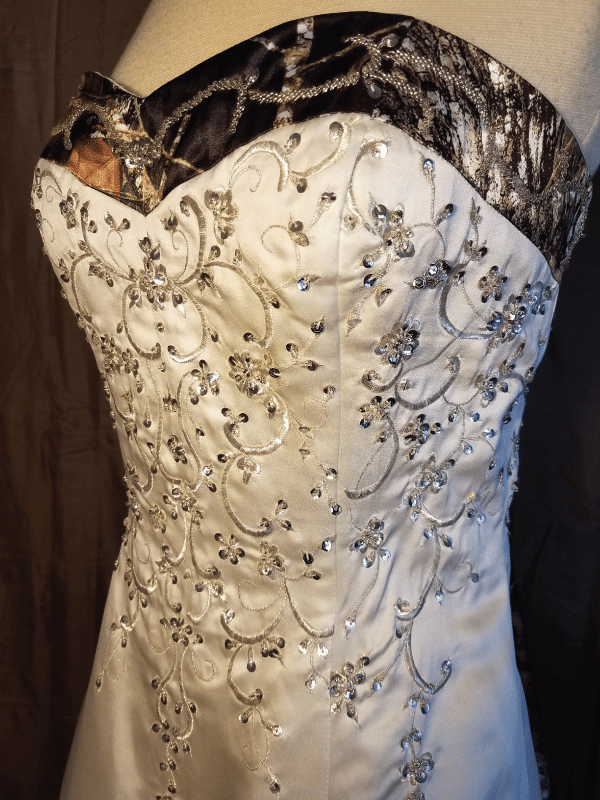 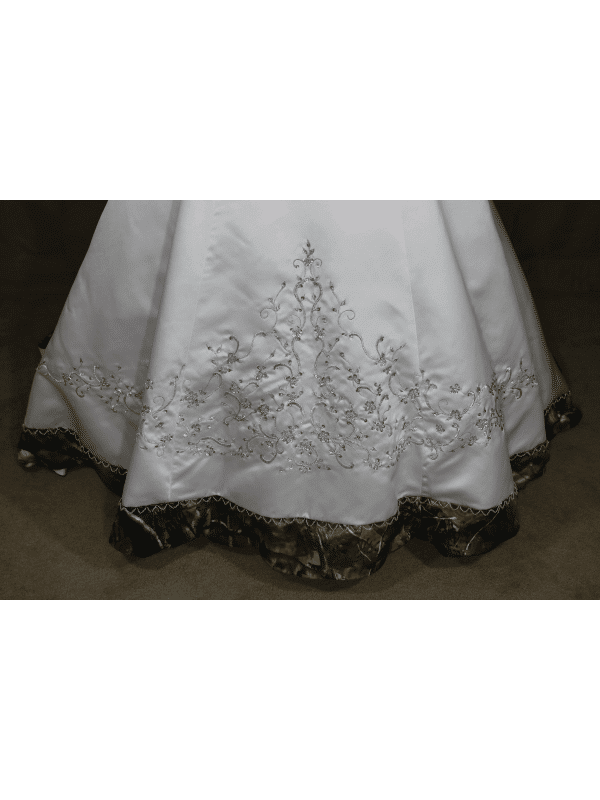 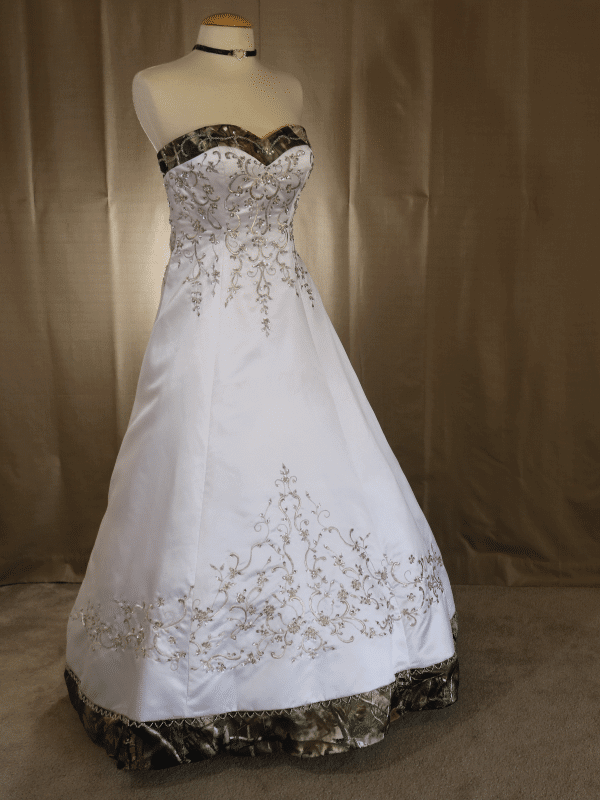 “Our most popular gown, the ELIZABETH, is a strapless ball gown that has stunning satin embroidery and hand-beading along the bodice, the front of the skirt, and the train. 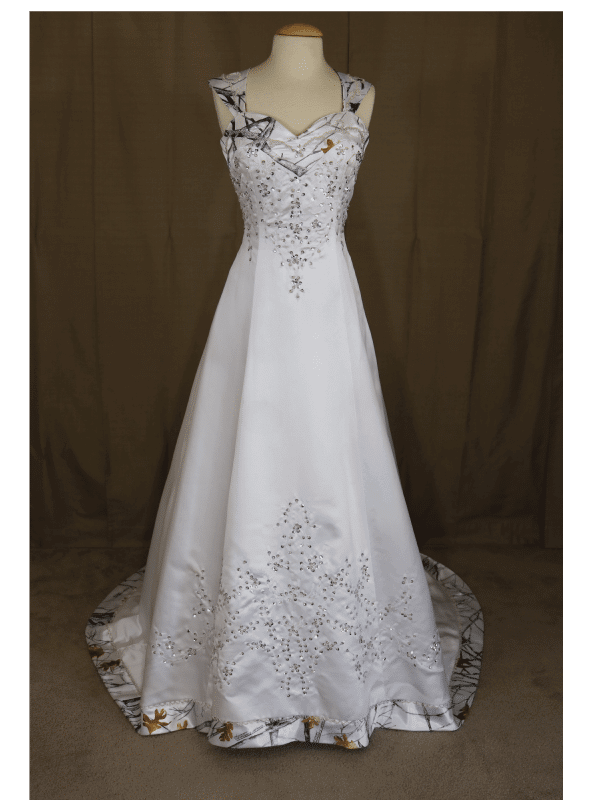 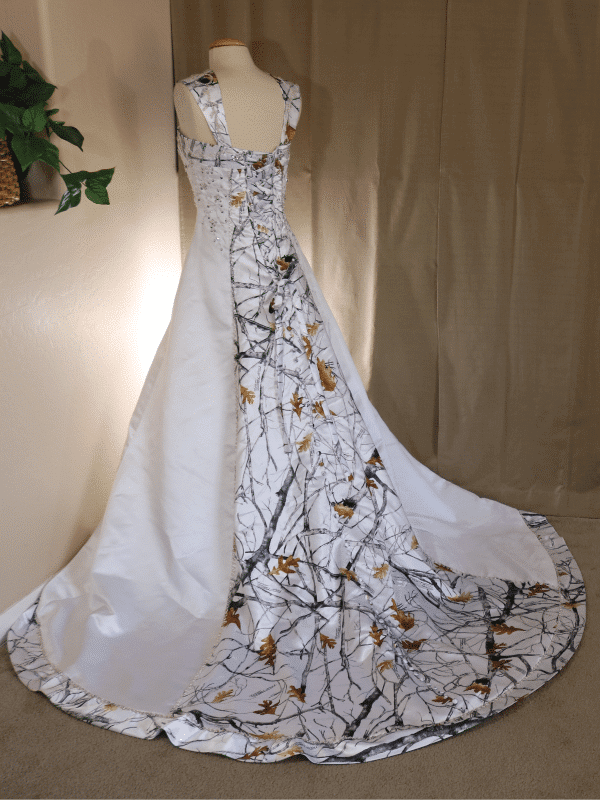 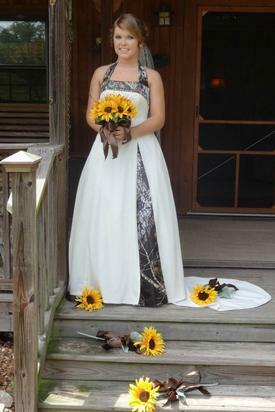 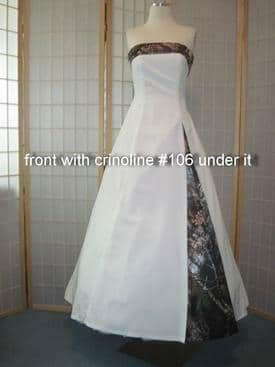 This gown includes a strapless sweetheart neckline and a standard zip-up back. 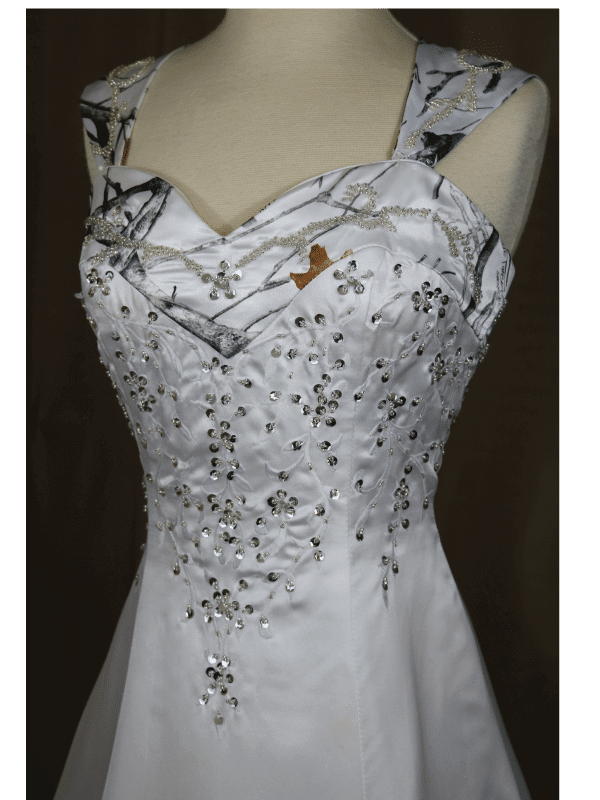 An optional corset back with modesty panel and lace-up ties is also available. 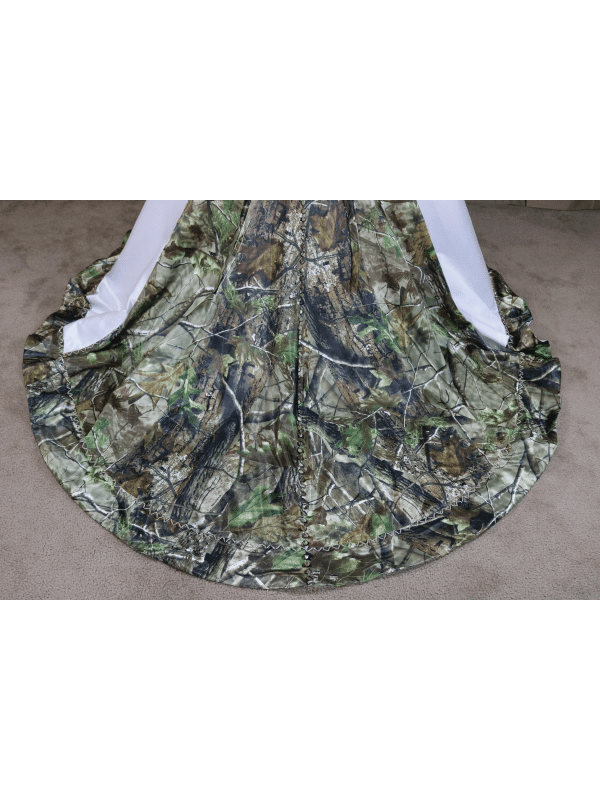 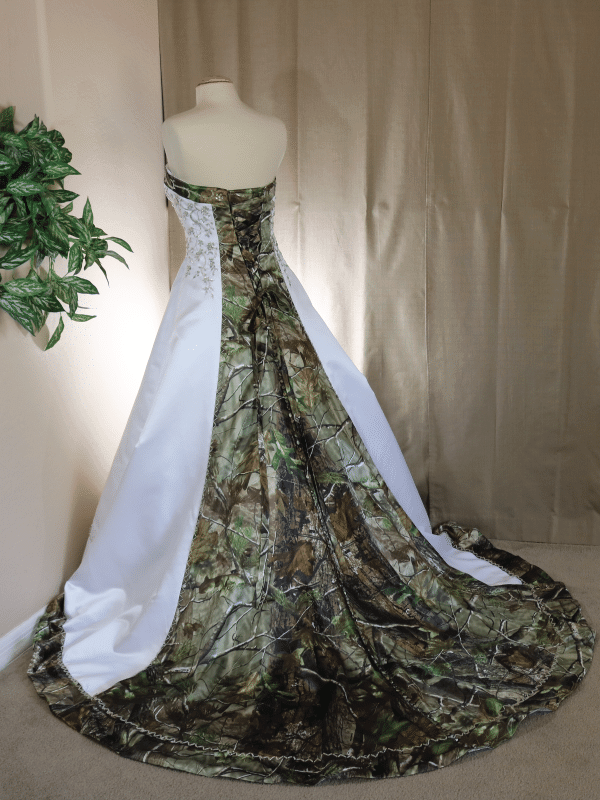 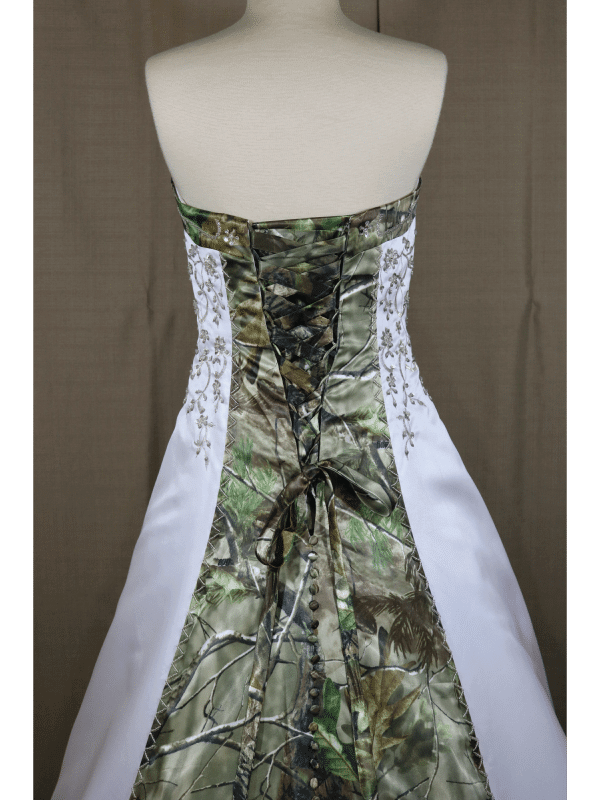 The back has your choice of camo pattern that extends down throughout the train and along the front hemline and along the top of the bodice. 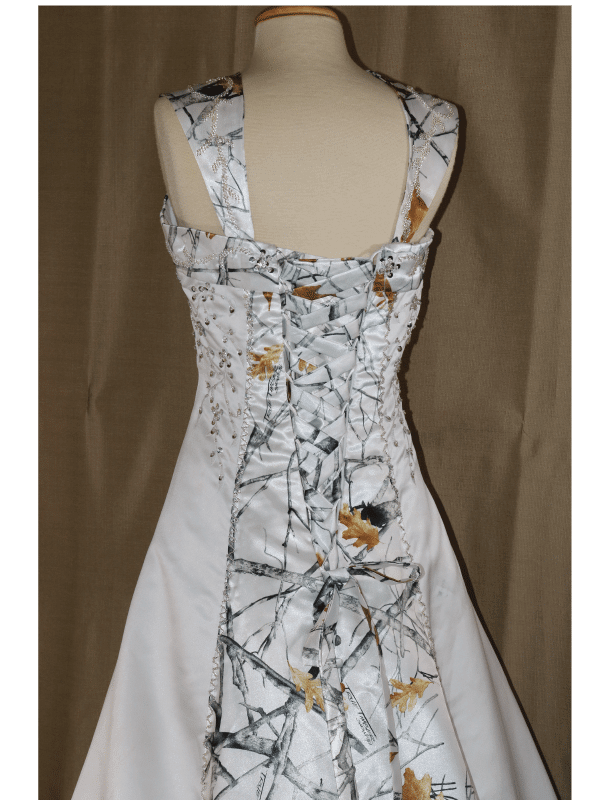 This dress comes fully lined with built-up bra cups, built-in bra straps, triple layered fabric, and 10-12 bones for support. 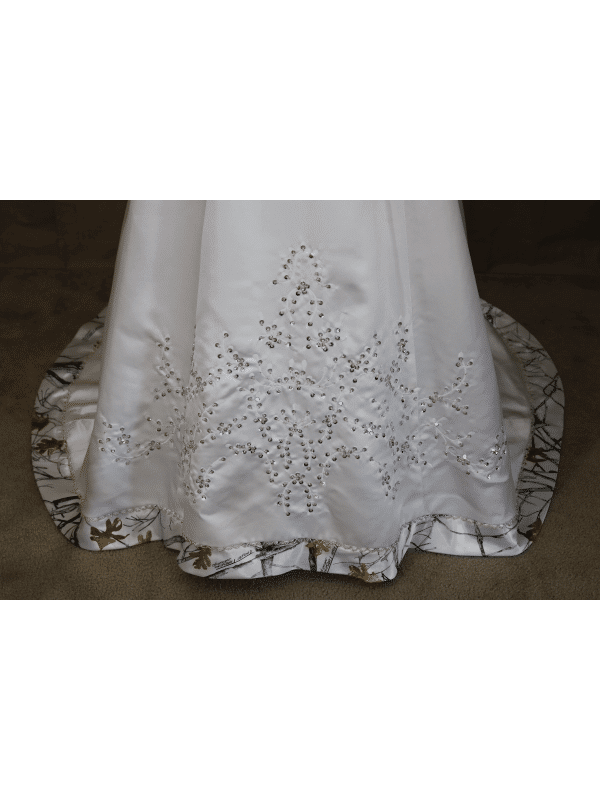 ELIZABETH is also sewn with attached netting/crinoline to provide a fuller look.